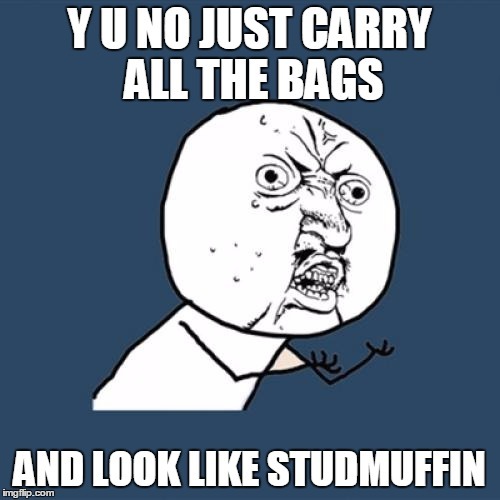 I think every guy has those moments when you feel like you just can't win. 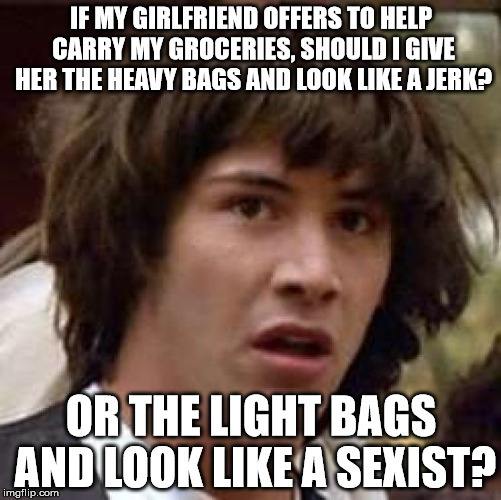 IF MY GIRLFRIEND OFFERS TO HELP CARRY MY GROCERIES, SHOULD I GIVE HER THE HEAVY BAGS AND LOOK LIKE A JERK? 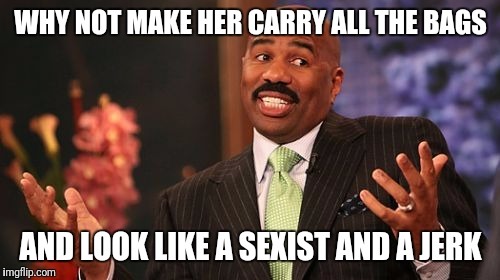 OR THE LIGHT BAGS AND LOOK LIKE A SEXIST?